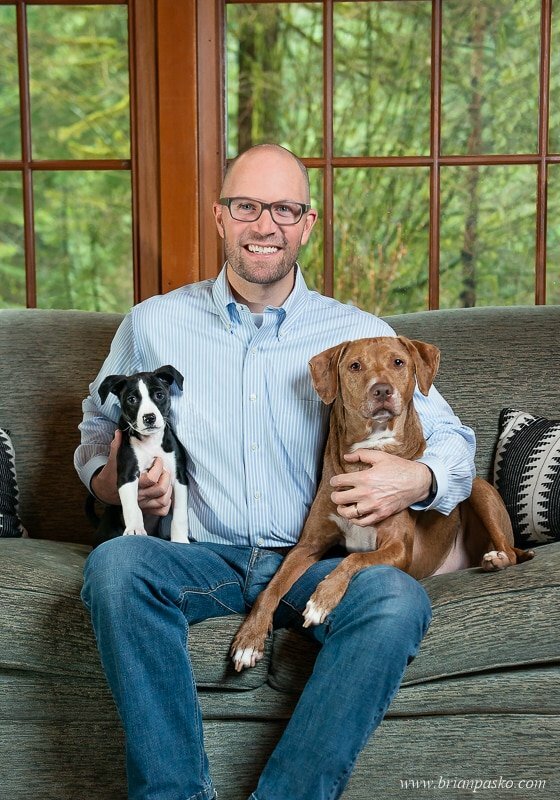 It was raining cats and mice the day I photographed Eric Koppleman and his two dogs for the cover of Petfood Industry magazine! more! 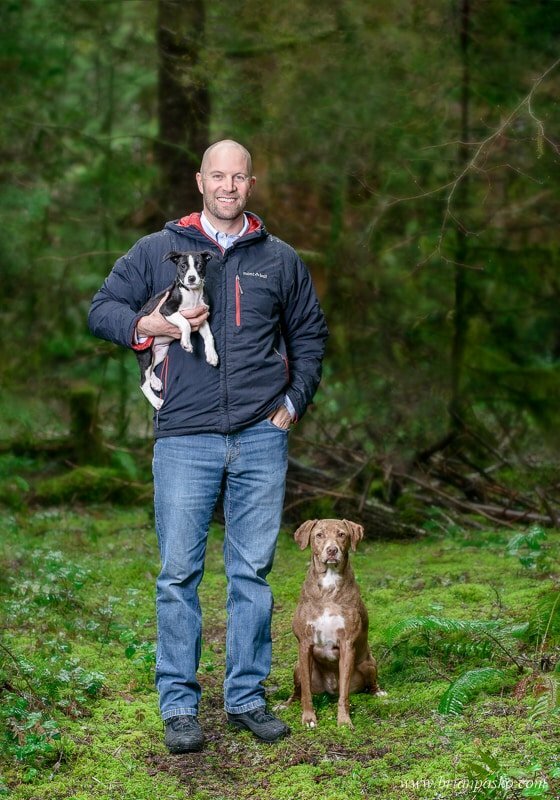 But the weather was perfect, as he wanted his portraits to have a “Pacific Northwest” feel. So Eric dawned a rain parka and we let the rain-soaked ferns and trees set the ambiance. Eric is the Chief Financial Officer and the public face of Blue Dog Bakery. 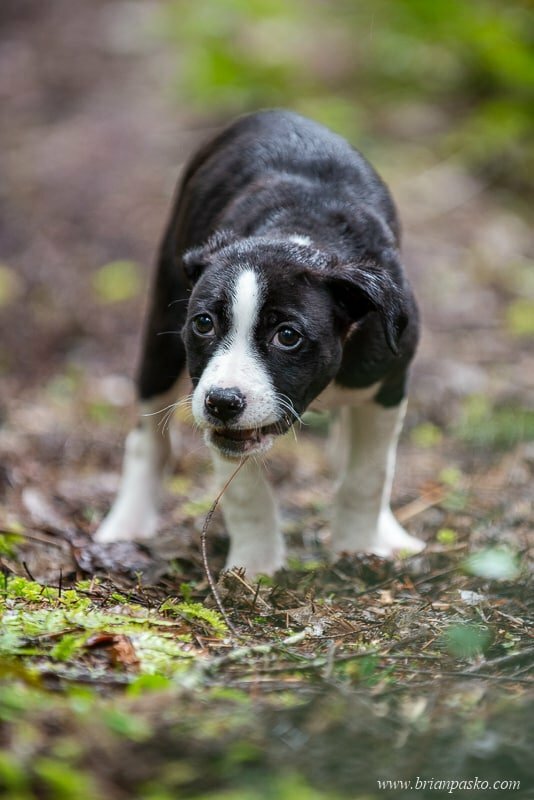 It’s a company that has made a big name for itself in the Petfood Industry! 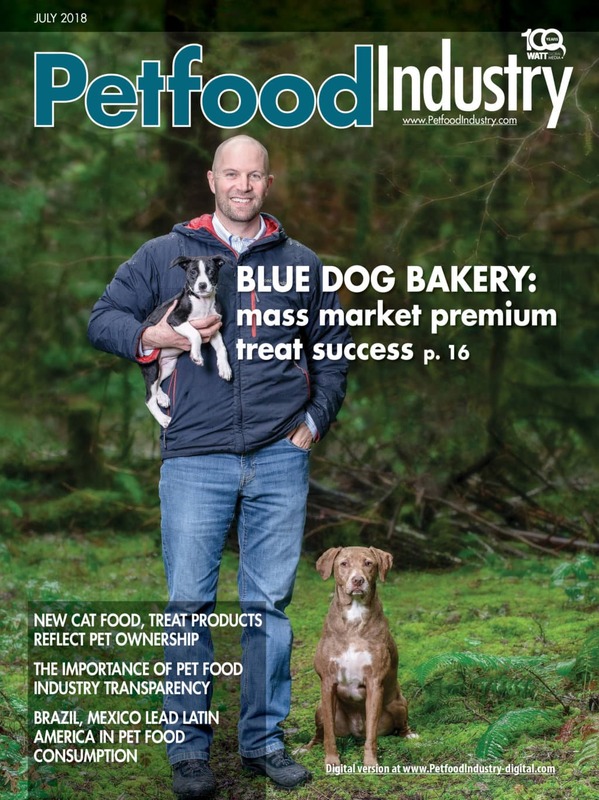 Blue Dog Bakery bakes healthy, “super-premium” pet treats. My border collie rescue Mittens devours them. And they are readily available at almost any grocery store throughout the United States. Check them out at https://bluedogbakery.com! I’ve also had the honor of photographing Eric’s family several times during the past few years. And their two rescue dogs, Bruno and Bisou are always a treat! 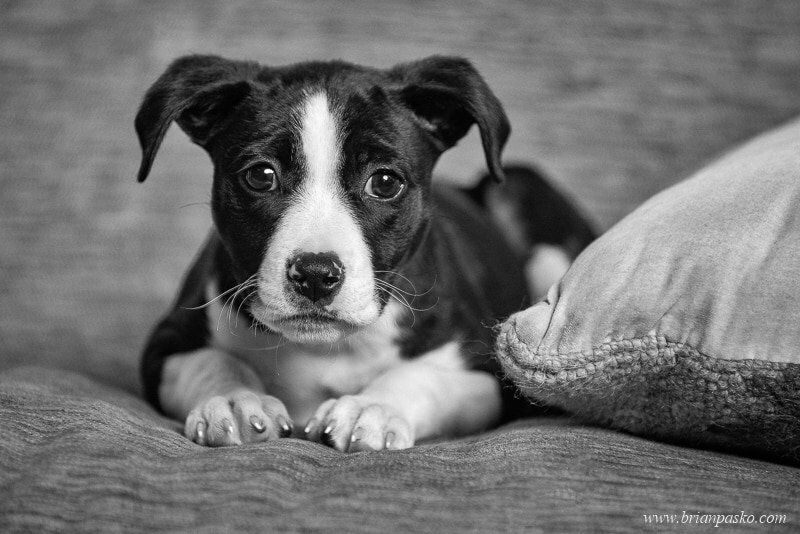 Bisou is their newest family member and was only a few months old at the time of this editorial shoot. Are you in need of commercial portraits, editorial photographs, or product imagery? Contact Brian Pasko photography to discuss your needs and learn more!